I am now living in Cave Creek, Arizona, where my younger daughter Teka and her husband Marvin live with my 2 1/2 year-old twin granddaughters, ShyAnn Marie and Dagen Rae. Most of my time is spent playing with the girls since I closed my catering business in Washington. Now that I'm back in Arizona I see my son Adam who is still in Lake Havasu City more often. My older daughter Teresa is still living in Moscow and working at the University. 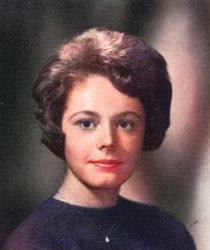 My first child, Teresa was born in 1966. I worked at the University Pharmacy in Moscow and for dentist Dr. Richey until I married Robert Pauley in 1970. The three of us then moved to Vale, SD where we farmed with his family. At the end of 1970 our second daughter, Teka was born. Adam was born in '73 and Aaron in '74. When Aaron was two I started working more on the farm driving truck and tractor, calving and lambing, etc. It was a busy life on the farm, especially with the kids active in school and sports. In 1991 we decided to leave the farm and moved to Spearfish where Bob and I attended college at Black Hills State University. In '93 we moved to Lake Havasu City, AZ but I stayed in South Dakota to finish college. After graduating in 1995, I moved to Lake Havasu City full-time. Both of the boys moved to Lake Havasu after we did. 2001 brought 2 weddings when Adam married Ana in August. They live in Lake Havasu where they both work for the Sterilite Corporation. Teka married Marvin in September and they live in El Paso, TX. Teka is a middle school guidance counselor and Marvin is a bank president. Ana had three children, Jesse (16), Jose (12) and Flavia (9), and Marvin had two, Mandy (19) and Jeff (17) so the family increased in size that year. Teresa lives in Moscow and works at the university. January 6, 2002 my youngest son, Aaron died from injuries sustained in a motorcycle accident on January 1, 2002. It was the hardest thing I have ever gone through. After Aaron's death I became involved with a group of mothers who have lost children and for two years I have been very active in that group both gaining strength and helping others. Through the group I have also become involved in a ministry out of Palm Springs, CA that helps mothers nationwide who have lost children. This is a very rewarding endeavor and has been a great help to me. The death of our son was very difficult for my husband and in 2003 we were divorced. I now have a new man in my life, Randy. In October of 2004 Randy accepted a position in Westport, WA and we packed up and moved north and west. It brought me closer to my family in the Moscow area and almost full circle. Randy and I are now in the process of starting our own catering and concessions business. If anyone is ever in Westport be sure to look us up.